Velvet Universe/V.U. electronic skirt volume made of Germany was, the 1979 in its initial formation from Rainer W. Sourly (Synthesizer, key board) and that only 16 years existed at that time old Axel Grzybowsky (organ, Synthesizer, Elka stringer ensemble). Sourly, which had built itself 1974 its first own Synthesizer themselves and starting from center of the 1970er years as man of letters and singer of a Politrockband on the way was, and Grzybowsky called their in only two days brought in Erstveröffentlichung „overview “and harvested thereby at the beginning of of 1980 a first respect success in Germany. Already in April 1980 Axel Grzybowsky V.U. left. and first the formation created „Rentryd “, then „the baby of tiger “and became later under the artist name Dr. Scissors internationally admits as ElectroDJ. The volume, which in the middle of 1980 the guitarist Thomas Kapke and end of the same yearly of the Schlagzeuger Sepp'l Niemeyer followed, lived and worked to end of the 1980er years in Frankfurt/Main. 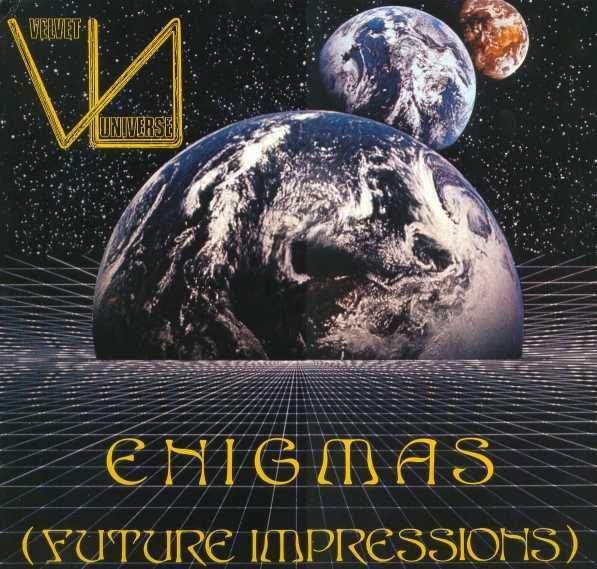 Their two long playing records „Voyager “(1981) and „Enigmas - Future Impressons “(1984) took up it in the Frankfurt Tonstudio Panne&Paulsen, in which also Klaus Schulze, Ash RA, Arthur Brown or Ideal worked and/or merged its productions. With support of clay/tone engineer Eberhard breakdown the albums sold themselves „“and „Enigmas “to Voyager (with Schlagzeuger Michael throat in place of Sepp'l Niemeyer, that to Flatsch! changed it was occasionally so good) that they were represented in the SynthesizerCharts of the English MELODY MAKER for weeks into the Top10. By the success of „Voyager “in the Italian Charts sour got 1983 the offer to take over for „radio Centafiori “a radio ending with German electrical Popmusik what later brought to it short time an offer of the hessian broadcast to moderate there the transmission „sounds of the Synthesizer “into HR3. „Sound of the Synthesizer “and the Synthesizertage Frankfurt of sour initiated „White Waves “became fast the cult and the trendsetter for of Frankfurt Techno scene. Among other things the volume Camouflage ( „Love is A Shield “) owes its success Sauers radio commitment as a new generation promoter. The first V.U. - Album, which did not stand for no more under the influence of Eberhard breakdown, was „Technotice “from the year 1986. Due to legal difficulties those could use volume however later only the Rough Mixes of the titles brought in in the Studio in Weilerswist further. Beginning of 1987 Kapke and throat co-operation with sour terminated and based „Main-had skirt volume “. However and only occasionally of musicians such as Martin Lathan or ex Tangerine Dream - Synthesist Christopher Franke supported, played sour between 1989 and 2000 three further Velvet university University of - albums in, with which the experimental character went in favor of the Songwritings back. After „Contact “(with the surrealistischen „Gigers Bolero “for Swiss diagram artist H. R. Giger from the year 1989 and „live Across The of university verses “ 1994 appeared to Moon Mirror in the autumn 2000, after months-long law case around the disk title with the record company „Metronome “, which partly before the higher regional court one delivered, the last album of “Velvet of university verses” with title „“. The originally planned album title „Moondawn 2000 “should represent a Hommage at Klaus Schulzes 1976er album „to Moondawn “. „Velvet of university verses “applies, beside Manuel Göttschings Ash RA internationally as important representatives of the music direction electronics skirt.